Alexandre Freitas, commonly known as Alexandre “Soca”, was considered by many as the king of Jiu Jitsu’s super-featherweight division in the late 1990’s early 2000’s. 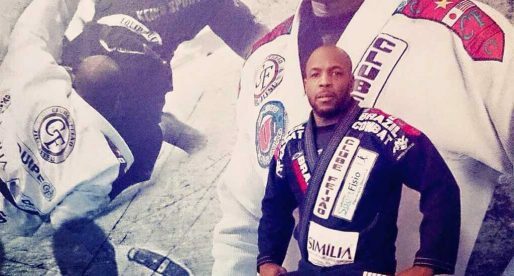 Alexandre “Soca” conquered numerous BJJ and submission wrestling competitions including the prestigious Abu Dhabi Combat Club tournament (ADCC), arguably the most prestigious grappling trophy in the world. Nickname: When Alexandre was 18 years old, he decided to start training boxing to break his BJJ routine. Renzo Gracie and Carlos Gracie Junior started calling him “Socador”or “Soca” (puncher/striker) because of this. With time everybody at the Gracie Barra academy started calling him by the nickname “Soca”. Favourite Position/Technique: Choke from the back and Armlock from side control. Weight Division: Pluma, Pena and leve. Alexandre Soca was born on the 6th of September 1972 in Rio de Janeiro, Brazil. He was very active as a child, doing many sports with a special attention to surf, and it wasn’t until 1988 that he went to his first Jiu Jitsu class, a class he attended trying to follow his brother’s footsteps – his brother was a BJJ blue belt at the time. Soca’s very first Jiu Jitsu instructor was Jean Jacques Machado in an academy filled with amazing talent, figures like “Draculino”, “Soneca”, “Risada” and many others were daily on the mats. Alexandre Freitas showed his own talent from the start and progressed through the ranks under Machado’s supervision at the famed Gracie Barra academy in Barra da Tijuca. Shortly after Alexandre received his purple belt, Jean Jacques moved to America and Carlos Gracie Junior took charge of his classes. 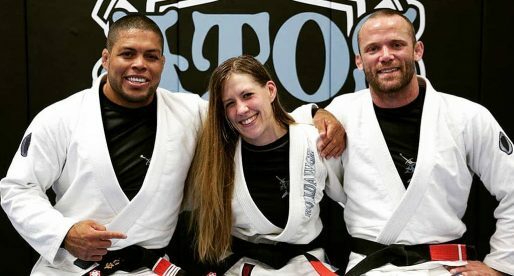 While Alexandre Soca was a purple belt, he also began helping out as an assistant coach at the gym, aiding Roberto Correa and Ralph Gracie. Alexandre received his black belt in 1994 and went on to have a fabulous career as both a competitor and a coach having helped several fantastic grapplers raise up their game, including Kyra Gracie whom he coached until she reached her purple belt. 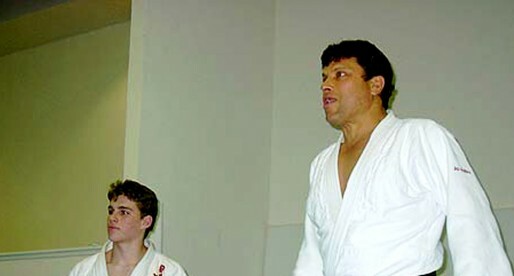 In 2005 he got an invitation to coach one of two academies; one was located in Hawaii and another one in Long Island – NY where he would replace Rodrigo Gracie. Alexandre liked the idea of living abroad and opted to go to Long Island. In his career as a coach, Soca has been known for a preference in creating his own brand. Though he was linked with Gracie Barra for a long time, he chose to fund Soca BJJ distancing himself from the Barra franchise. The successful “Soca BJJ” academy has already graduated several black belts who are spread out all over the world, fighters like Rafael “Capoeira”, Paulo de Tarso, “Cabeção”, Vinicius Moura, Sydney Machado and even The Ultimate Fighter season 8 finalist Phillipe Nover. Alexandre also ventured in the world of MMA (mixed martial arts) in 2004. He made his debut against the experienced Yoshiro Maeda, displaying a lot of his BJJ skills in the first round but succumbing to a knee strike early in the second round. Maeda was undefeated at the time with 7-0-0 and stayed undefeated until 2005. Where u at ? Have some classes as a scolarship!